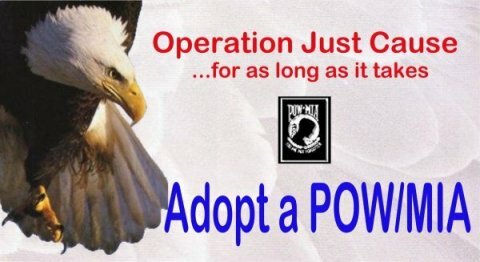 The USS Antietam Association adopted a Navy and Marine POW/MIA through Operation Just Cause. This is the story of LTJG. Donald C. MacLaughlin, Jr.
Name: Donald Clay MacLaughlin, Jr.
LTJG. Donald C. MacLaughlin, Jr. was a pilot assigned to Attack Squadron 76 onboard the USS Enterprise. On January 2, 1966 MacLaughlin was flying as a wingman in an A4C Skyhawk on a combat mission in South Vietnam. Weather in the target area was 2300-2600 feet overcast. Approximately 3 miles south of the target, visibility reduced to zero in fog. The flight leader made the first run and after pulling off the target instructed the wingman to pull up and hold in a clear area. No acknowledgement was received. The leader made one more run then called again to MacLaughlin but received no answer. The flight leader transmitted in blind to the rendezvous point after three orbits. 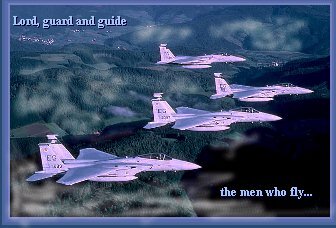 The leader then alerted search and rescue (SAR) to look for his wingman. The search proved fruitless and the leader returned to ship. Later search efforts located wreckage that was widely dispersed indicating a shallow impact angle. Although small arms fire was reported in the target area, the cause of the accident was unknown. Search and rescue hilicopters landed near the scene later that day, but crewmen were unable to locate the ejection seat or MacLaughlin. Search and rescue continued their search and the following day located MacLaughlin's body. Enemy ground fire prevented them from recovering the body, however. MacLaughlin's name is listed among American personnel as prisoner, missing and unaccounted for in Southeast Asia because his body was never recovered. Death is all but certain for Donald C. MaclLaughlin, Jr. Although he apparently ejected from his aircraft, he died in the effort or at some point after. For hundreds of others, however, simple answers are not possible. Adding torment of nearly 10,000 reports relating to Americans missing in Souteast Asia is the certain knowledge that some Americans who were known to be prisoners of war were not released at the end of the war. Others weree suspected to be prisoners and still others were in radio contact with would-be rescuers when last seen alive. Many were known to have survived their loss incidents only to disappear. without a trace. The problem of Americans still missing torments not only the families of those who are missing but the men who fought by their sides and those in the general public who realize the full implications of leaving men unaccounted for at the end of a war. Tragically, many authorities believe there are hundreds of Americans still alive in captivity in Southeast Asia today. What must they be thinking of us? What will our next generation say if called to fight if we are unable to bring these men home from Southeast Asia? Click on the link below to see what you can do to help..